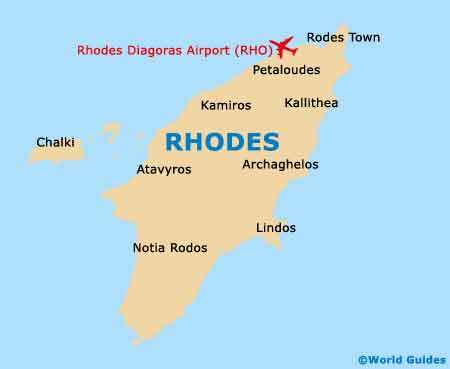 Rhodes leads Greece's Dodecanese island archipelago in terms of commercialism and tourism. It is an exciting place to live, with excellent year-round weather, access to beaches and one of the liveliest night scenes in the country. Even the historic core is captivating, with UNESCO-listed architecture. An excellent selection of holiday rentals and private real estate is available on Rhodes. Seaside villas, serviced apartments and resort-oriented properties headline the list, but it is also possible to find more practical residential properties on the island. As with all of Greece, Rhodes is friendly towards outside investment, and there are many opportunities for developers and holiday home buyers. The fact that Rhodes is a transportation hub bolsters this scene, as the island remains relatively busy even during the off season. Serviced apartments are available in Rhodes, especially along the north and east coasts, where the resorts flourish. These target vacationers, as well as long-term visitors who are toying with the idea of moving to the island, but don't want to sign a full-year lease. A typical unit is a fully furnished seaside villa, which comes at a premium price by rental standards. Staying more than a couple weeks usually results in savings, while tenants who are staying for a matter of months can secure even better deals. In either event, a serviced apartment or villa offers more space than a comparably priced hotel room. A decline in interest rates has prompted a construction boom on Rhodes, so there are more modern properties available than ever before. Property is a sound investment here, as the city's UNESCO World Heritage standing combined with its modern facade indicates that foreign interest will hold over the long term. Stone houses in the medieval quarter start at low prices, although renovations are often in order. Expect to pay three times as much for a two- to three-bedroomed modern home. The price will vary dramatically depending on the neighbourhood. EU citizens can freely own property on Rhodes, while citizens of other nations have to obtain permission or incorporate a business that will technically own the property. EU citizens will find an open door and friendly welcome, and will be able to shop for Rhodes properties with ease. A reliable real estate agent will expedite the process and becomes a necessity for foreign investors from outside the EU. In either case, there are plenty of English-speaking agents on the island. With an extensive portfolio listing investment, vacation and residential properties, Rhodes Property Online is a popular starting point for property seekers. This company connects buyers and renters with property across the island and has one of the best east-Rhodes selections available. Based on this particular island, InterEstate maintains a portfolio of properties that are spread across the Aegean Islands.